If you're looking for your own personal oasis in the middle of town, look no further! This freshly painted, recently updated, COMPLETELY TURNKEY CONDO featuring wood laminate flooring in living and dining area, porcelain tile in main entry, kitchen, storage room, and closets, all new doors, windows, baseboards, shelves, updated kitchen with all appliances included, has too many upgrades to list them all PLUS a garage. You just have to see it!! 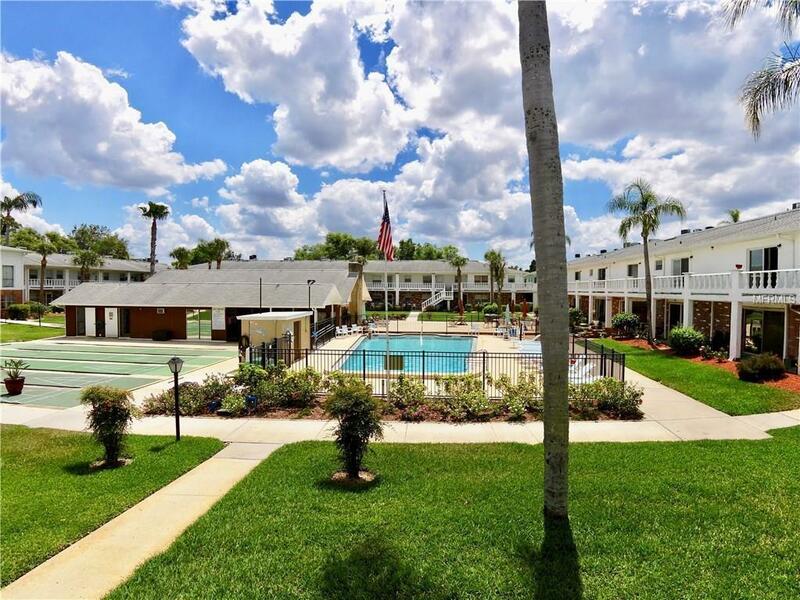 This 55+ condo community has a heated pool surrounded by a beautifully landscaped courtyard. The clubhouse has daily activities, there is shuffle board, a large patio area to sunbathe or sit and swing under the covered area. Room sizes are approximate. Schedule your showing today!